Consisting of large lounge (with large open fire), kitchen, boiler room and bathroom on the ground floo. 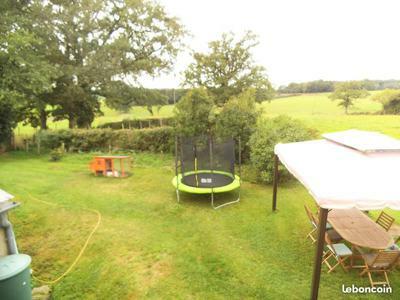 4 good sized bedrooms on the 1st floor and a large open plan attic on the 2me floor. The barn had a CU for conversion to habitation, however we never got round to it. The barn currently has 5 loose boxes for our horses on the ground floor and a large open area on the upper floor (which you can walk in to from the back of the barn). 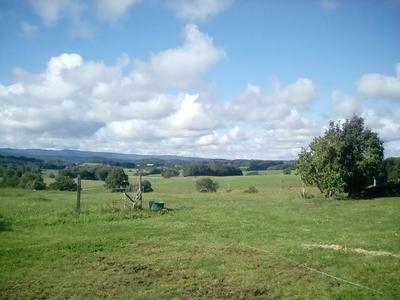 The view are amazing from the property looking across open fields and woodland. 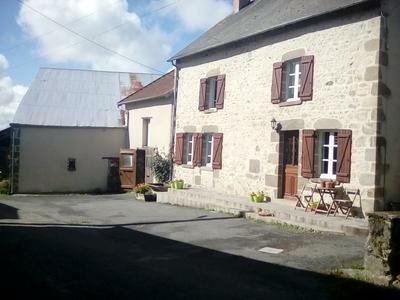 It's situated on the edge of a small hamlet, between Bourganeuf and Gueret.